Some News of Interest about the Petro Criptoactive. According to statements offered during the National Council of Productive Economy by the Vice President of the Bolivarian Republic of Venezuela, Tareck El Aissami, “The Petro will be auctioned through the System of Exchange Rate Complementary Floating Market (Dicom) for the development of the Bolivarian Economic Agenda and the companies linked to its 15 engines, once the pre-sale phase is completed, in order to boost the Bolivarian Economic Agenda and accompany the national productive sector “, which will favor buying and selling operations once the comply with the protocols, in aspects such as raw material, capital goods, payments of services and technological development. For his part, a month after the launch of Petro, the President of the Bolivarian Republic of Venezuela Nicolás Maduro reported at the XV Summit of the Bolivarian Alliance for the Peoples of Our America (ALBA-TCP), “that the country has received 186,306 offers in intentions of purchase of the Venezuelan cryptocurrency and when passing to 30 days the sale will begin, remembering that on March 20 the presale ends “. Likewise, the Minister of Popular Power for University Education, Science and Technology, Hugbel Roa, stressed “that the Venezuelan digital currency called El Petro has become a very attractive cryptoactive for international markets and, internally, a source of savings to access purchases “. In this way, being backed by the country’s wealth, it will be able to access international markets without intermediaries, breaking the economic siege imposed by the United States. In turn, Minister Roa said that “the national government aspires with El Petro to enter more than 30 international ‘exchanges’, to date there is interest and proposals from more than 20 virtual exchange houses, which have applied and could enter into connection with different partners at international level to be able to place the cryptoactive El Petro “. 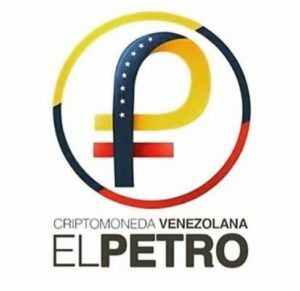 In the regard, the Superintendent of Cryptoactives and Related Activities Carlos Vargas has clarified that “Petros will be sold in bolivars once they reach the secondary market, noting that there is no similarity between the petro and a bond, because it has no date expiration, and therefore does not generate an obligation at the end of this, or produce interest, “in the same sense, clarified that” The fact that it is backed by oil reserves implies that Venezuela has a georeferenced space where there are 5,300 million certificates barrels to respond through their exploitation before any eventuality. Likewise, he assured that it does not compromise the oil fields, nor does it involve the delivery of any underlying oil asset”. “We believe that Venezuela is preparing for the relaunching of its economy with a powerful instrument such as the Petro”. In the same sense, the Superintendence of Cryptoactives and Related Venezuelan Activities (Supcacven), participated in the inauguration of the second edition of the World Solidarity Day “We Are All Venezuela”, promoting the Venezuelan cryptoactive El Petro. 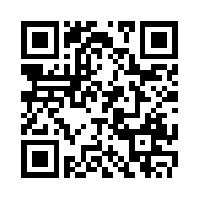 How to Buy Bitcoin Without Disclosing Your Identity. Next story Alarming: Domains Running Cryptocurrency Mining by Scripts Increase by 725 percent.